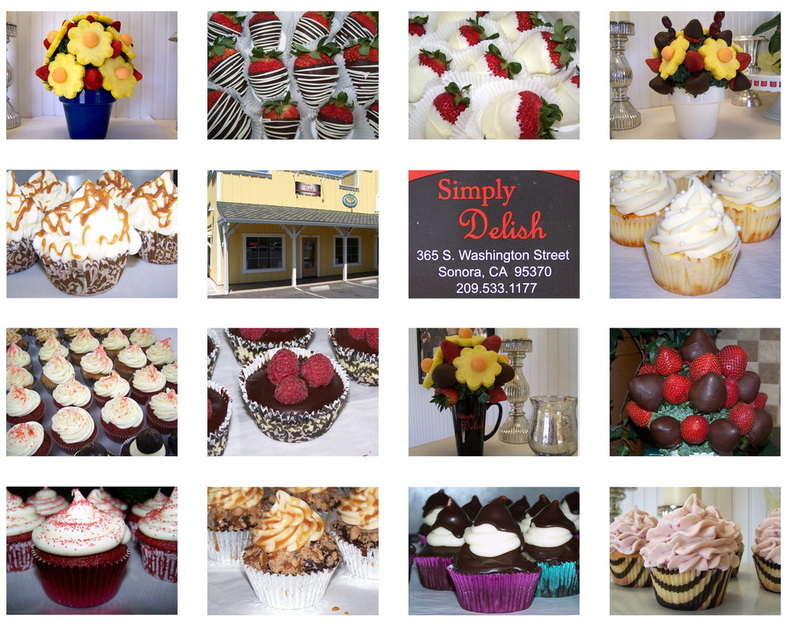 Simply Delish cupcakes are baked fresh (never frozen) and carefully handcrafted with a strong emphasis on the very best blend of flavors and sophisticated presentation. With over 40 years of baking experience, we know that using real ingredients such as sweet butter, cream, fresh strawberries, pineapple, raspberries, carrots, bananas, lemons, and pure Bourbon Madagascar vanilla beans in our cupcakes creates the most delicious flavors. 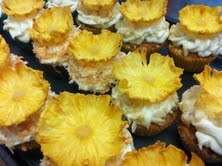 We take pride in creating cupcakes that are a step above the rest! Our mini-cheesecakes are perfect for the occasions that either you want a small, but very special, dessert that is packed with flavor or someone in the group has a cheesecake addiction! Each mini-cheesecake has a graham cracker crust, topped with cheesecake specific to the final gourmet flavor and beautifully garnished! Special attention is given to using fresh fruits and we make our very own ganache and salted caramel! What can we say about chocolate covered strawberries? The very appearance of them causes the pulse to quicken and excitement fills the air! We carefully select and hand dip each berry with the customer in mind. If the customer chooses, each berry is drizzled with either white chocolate or dark chocolate and beautifully packaged for your enjoyment. Chocolate covered strawberries are the perfect gift for Moms, Dads, daughters, fiancees, clients, friends, bosses... just about anyone you want to feel super special!! Sometimes, that person could be YOU...just because you deserve it! 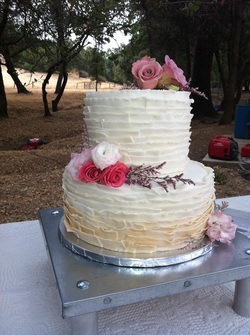 Wedding cakes, celebrations cakes for all events! Have a vision? An idea? A theme? Bring your ideas or pictures of the cakes you're interested in to us and we'll work to bring your vision to reality. We are just as interested in making your event as special as you are. Every cake is made from scratch, with a filling of your choice. Cost of cakes are dependent on the style, design and size of the cake. Call us, we'd love to talk about what you have in mind! 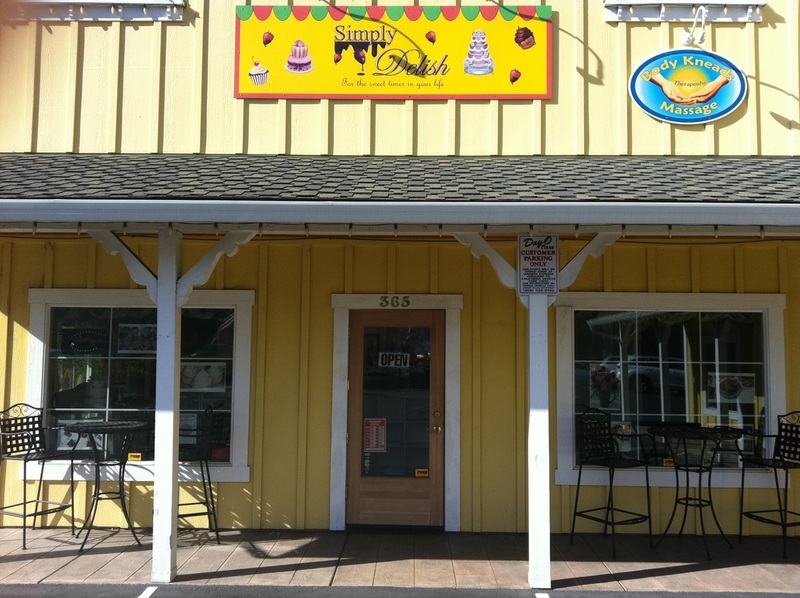 See us on Facebook for current happenings and flavor updates! When you get there don't forget to "Like" us! Click here to go to Simply Delish Facebook page!